We looked at the top 1 Miele Vacuums and dug through the reviews from 9 of the most popular review sites including BestReviews, Good Housekeeping, Consumer Reports, Vacuum Cleaner Advisor, How to Home, Top Ten Reviews, Clean Home Zone and more. Through this analysis, we've determined the best Miele Vacuum you should buy. In our analysis of 67 expert reviews, the Miele Miele Dynamic U1 Maverick Upright Vacuum placed 7th when we looked at the top 8 products in the category. For the full ranking, see below. Extra-long cord (39 feet). Offers similar features to the Cat and Dog upright, including a 1,200-watt motor and SwivelNeck design — but for a lower price. 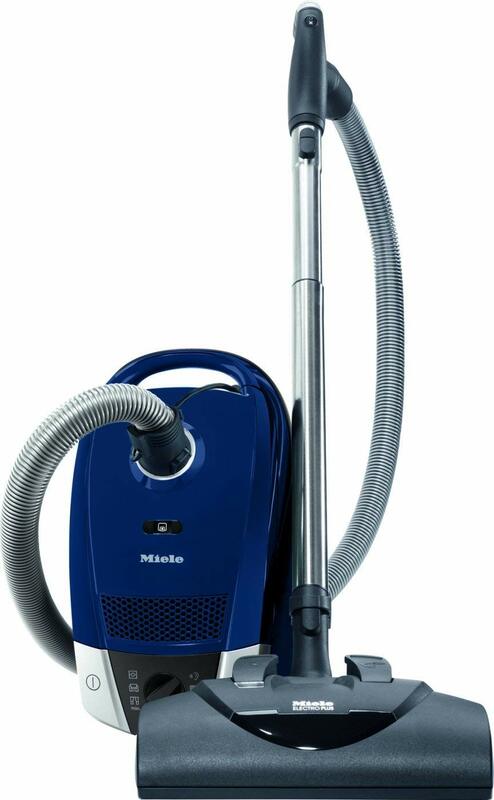 This Miele is ideal for allergy and asthma sufferers, since its self-sealing bag keeps dirt out of the air. It's a powerhouse that cleans everything from delicate curtains to deep carpets. The Miele U1 Series features a unique SwivelNeck Technology which allows you to steer your upright effortlessly with just a turn of your wrist. It also allows you to position the vacuum in a flat to the floor position, allowing you to get under low furniture. Brushbar on/off controls in the handle. The 360-degree swivel front wheels allow for exceptional maneuverability. There are three features that contribute to the Maverick’s overall cleaning radius – the telescopic wand, bendable hose and 39-foot power cord. Together, you get an impressive 18-yard radius. Excels at removing embedded dirt from carpets. Performs well when cleaning bare floors, ideal for kitchens, bathrooms and hardwood floors. Does well at picking up pet hair, useful if you have a cat or dog. Excels at capturing all the dust it picks up, important if you have allergies or other respiratory issues. Has suction control, which helps protect drapes when using tools. Has a brush on/off switch, which safeguards bare floors and prevents the scattering of dust and debris. The cleaning reach on the Maverick is quite exceptional. The vacuum includes a 39 foot power cord and a 12 foot flexible, crushproof hose. Excellent filtration and hygienic debris disposal makes it easy to remove allergens and keep things clean. The Miele Dynamic Maverick is a well-designed vacuum cleaner that’s easy to maneuver, thanks to its smooth swivel neck. The vacuum comes with genuine HEPA filtration that not only pulls dust, pollen and mites from your floors and furniture, but also doesn’t emit them back into the atmosphere since the system is sealed. The cleaning head doesn't have LED headlights, and it doesn't come with a turbo brush tool. Some consumers said it was heavy, but its cleaning power can't be beat. The Maverick is pretty much an entry level Miele upright and it does not have some of the bells and whistles you will find on the more expensive uprights – such as LED headlights, a HEPA filter, turbo brush tool, etc. Can be difficult to maneuver around furniture and tight spaces. Heavy weight can make it difficult to push. Somewhat expensive for an upright vacuum cleaner. One drawback is this vacuum’s weight. At 21.7 pounds, it is heavier than any other vacuum we tested. The Miele dynamic U1 Maverick upright vacuum cleaner is designed to clean all the surfaces in your home. This two motor system has the ability to stop the brush roller in order to go from your carpeting on to your hard surfaces.